Ontario's Cottage Country has many regions that vary in their topography, cottage density and character. 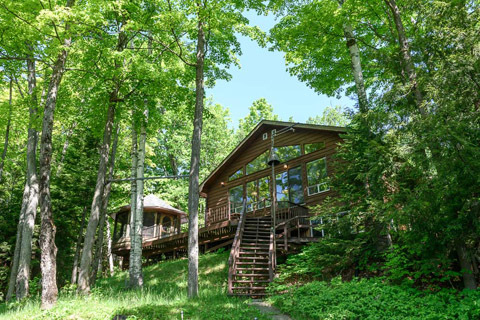 If you are looking for a destination that exemplifies the true cottage experience, where serenity and the feeling that you have completely escaped the city, look no further than Harcourt Park. 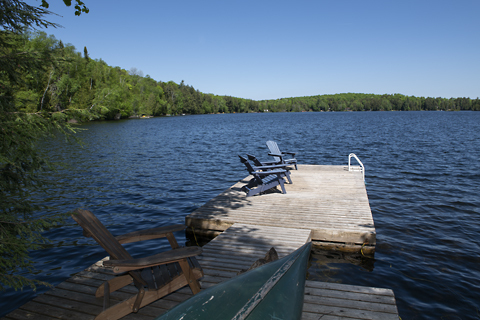 Harcourt Park is a non-profit cottaging corporation in Ontario, Canada, composed of 6,900 acres (28 km2) of land, 18 lakes, and 600 surveyed properties that are individually leased in favour of private ownership. Established in 1959 by the Sumcot Development Corporation, Harcourt Park was designed to provide its residents with the unique opportunity to experience a cottage lifestyle within an unspoiled, protected environment. Ownership of property within the park is titled to Harcourt Park Inc. and is subject to private lease. Annual lease fees are used to provide services within the park, including road maintenance, fish stocking, community events and security. 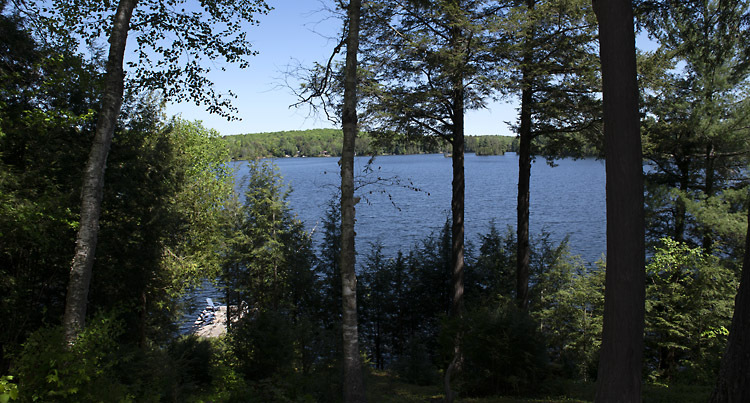 Only 8 of the 18 lakes within the park have cottages and of those, only 4 allow motorized watercraft. Big and Little Straggle, Allen and Kennaway. Personal watercraft such as Jetskis and SeaDoos are prohibited.There is a general store and marina available to residents within the park and there is a network of over 50 kilometres (31 mi) of trails extending their way through Harcourt Park. Early in the twentieth century extensive logging depleted old growth trees. Now the majority of Harcourt Park’s interior vegetation is new-growth maple along with fir, hemlock, cedar and birch. Wildlife is extensive and diverse because of proximity to Algonquin Park and its relative isolation. Black bear, moose, white-tailed deer, coyotes, otters, beavers and a number of other smaller mammals, birds insects and reptiles. Large and smallmouth bass, lake and rainbow trout can be found in the lakes. This beautiful, natural habitat will remain protected from further cottage development and logging activities. 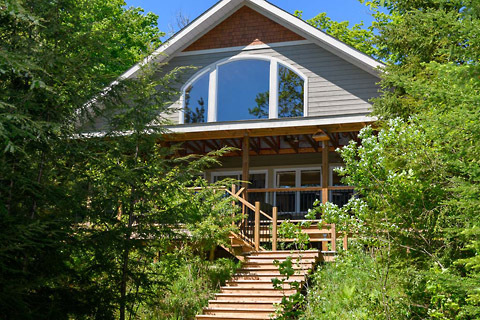 There is no commercial accommodation available in the park so if you are interested in a peaceful cottage holiday in this wonderful area, look at the following properties, each of them offering the opportunity to experience Ontario’s Cottage Country in a new way. 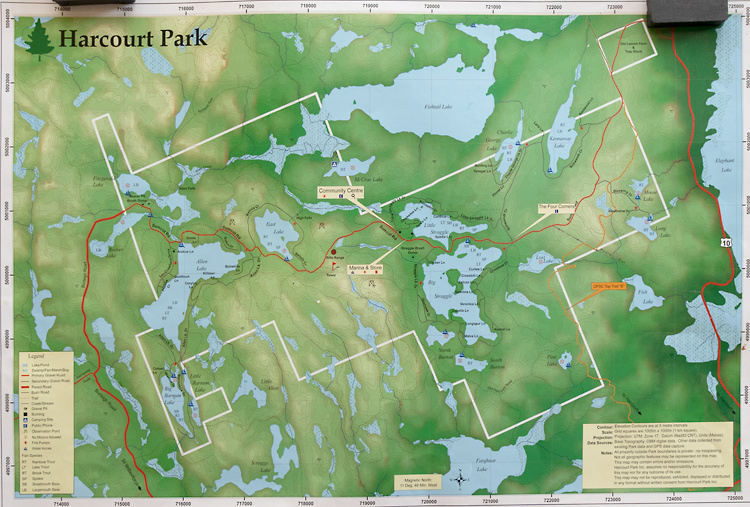 Harcourt Park is located near the small Village of Harcourt along the remote northeastern border of Haliburton County, with the Town of Bancroft being the closest nearby community with a population exceeding one thousand. Harcourt Park is approximately 240 kilometres (150 mi) northeast of Toronto, and approximately 250 kilometres (160 mi) west of Ottawa. If you would like to experience this unique location, here are 3 properties that we have available.